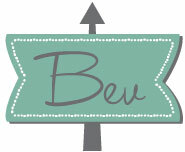 I have such a gorgeous Etsy shop to share with you today! Leap Jewellery is a lovely shop run by my sweet friend Emi from Small Good Things. I am so excited about her new shop! Emi has a fabulous eye for putting pieces together – all her designs are so stylish and modern, but they also have a touch of vintage that I just adore. Everything has such a unique style that will add a great touch to any outfit! I think the combination of vintage and new beads and findings works so well together to create one of a kind pieces. 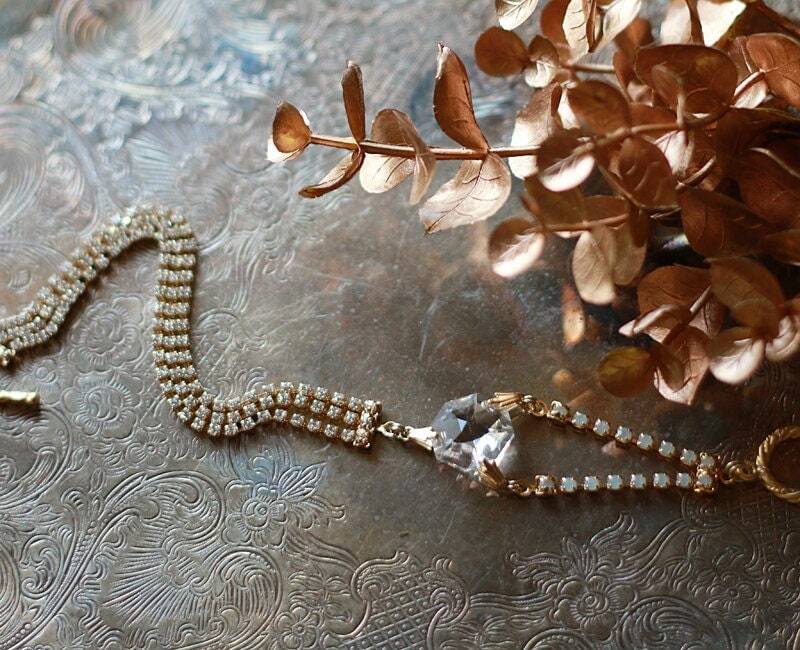 Like this Chandelier Crystal Bracelet, it is the perfect accessory for a holiday party! 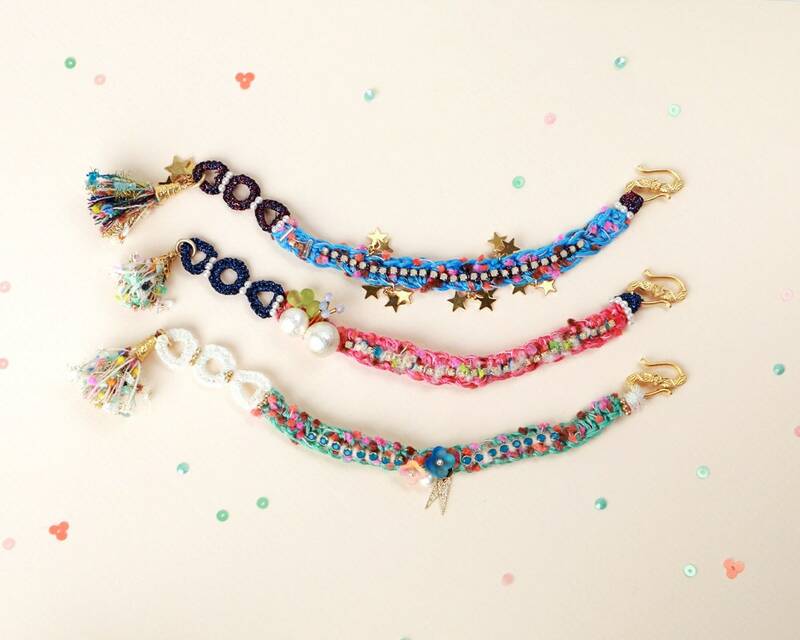 Take a look at these Crochet Tassel bracelets! The way she’s added the beads and charms is so darling. I think they have an Anthro feel to them don’t you? Emi has a great selection of these open rings – I am totally adding these to my Christmas list! I think this might be one of my favorites. These Vintage Glass beads combined with the vintage charms are so gorgeous! We have an amazing giveaway and discounts for you today too!! Emi will be having a big sale throughout the Black Friday weekend; 20% off on everything on Black Friday and Cyber Monday, and 15% off on Saturday and Sunday. BUT she has a special coupon just for Small Good Things and Flamingo Toes readers! Use coupon code ‘FLAMINGO’ for 30% off on everything on Black Friday and Cyber Monday, and 25% off on Saturday and Sunday!! How awesome is that! If you head over to Small Good Things you can get more details on gift wrapping and more! For the giveaway, Emi is generously giving away a necklace she designed just for us, as well as a choice of an item (up to $60 value) from the shop! That makes this giveaway valued at over $100! So pretty right?! It’s really three necklaces in one! 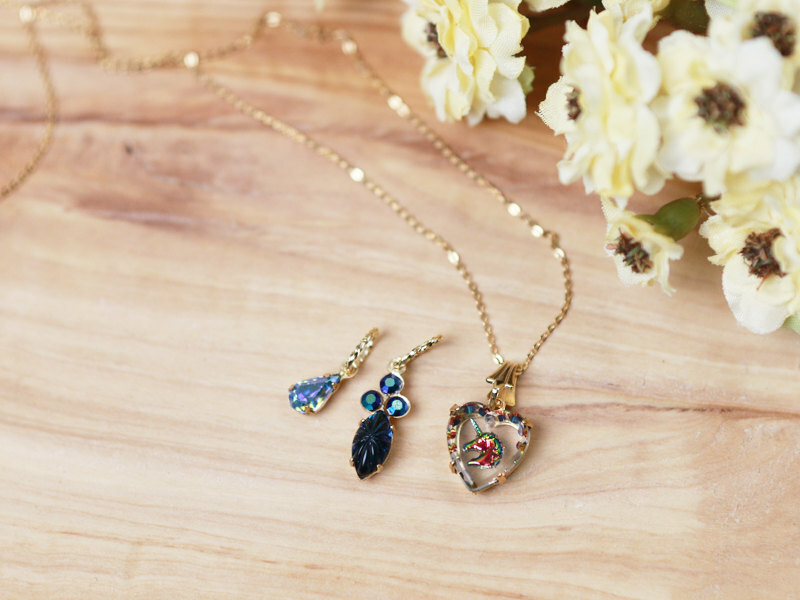 This lovely gold necklace comes with three interchangeable vintage charms! You can change them out to fit your style and mood! Emi is based out of Tokyo but she is shipping the items within 5 days of the giveaway closing so the prizes will arrive in most countries before Christmas! Merry Christmas to you!! Enter on the Rafflecopter – the giveaway is open internationally to adults 18 and over. I adore the crochet bracelet! I love the vintage white beaded necklace with the unicorn charm! So sweet. I love the little green flower ring and crochet blue bracelet. Love Love Love the Swarovski earrings! Crocheted Bracelet with rhinestone & Tassel – blue crocheted bracelet with gold stars, Swarovski rhinestone and tassel is my favourite. I don’t know what a rafflecopter is, but it sounds like a wild ride. I love the vintage white bead necklace. What a generous giveaway, and link to a neat shop. Thanks. I love all the open rings… They’re so adorable! The vintage cross necklace. Freshwater pearls are lovely. I love Leap’s Vintage Cross Pendant, Freshwater Pearl Interchangeable Necklace – freshwater pearl necklace with Gemstone and vintage cross pendant. Everything in this Etsy store is lovely, but I like the Vintage Cross Pendant Freshwater Pearl Interchangeable Necklace because of its versatility. The Swarovsky rhinestone chain bracelet w/chandelier crystal is my favorite, though saw rings, bracelets & coral & 2 color necklaces I really like. I love the vintage white Czech glass beaded necklace with vintage charms – really beautiful! What cute jewelry! I love the pearl/green flower ring! This blue tassel bracelet is my favorite! Coral and Freshwater Pearl necklace with Gemstones! Gorgeous!! Oh, my favourite has to be the Vintage earrings with the blue half moon and pearls! That blue stands out so much. How pretty!! My fave is the Vintage Czech Glass Beaded Necklace. I love the vintage flower and faux pearl open ring. 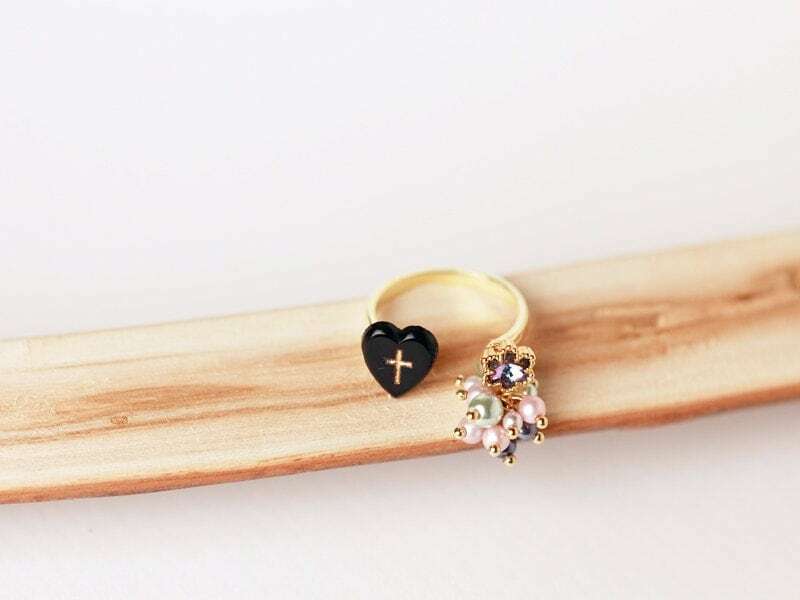 I like the open ring with the little green flower and pearl. My favorite piece is: Swarovski Rhinestone Bracelet – Swarovski jet black rhinestone bracelet with vintage glass stone and cotton pearl…so classy looking! 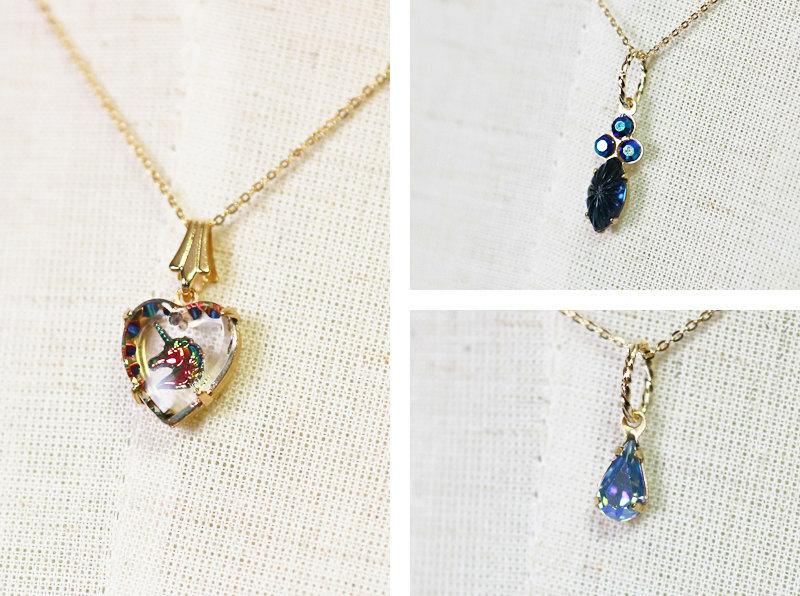 I love the Interchangeable Necklace with Three Vintage Charm pendants–the unicorn pendant is wonderful. 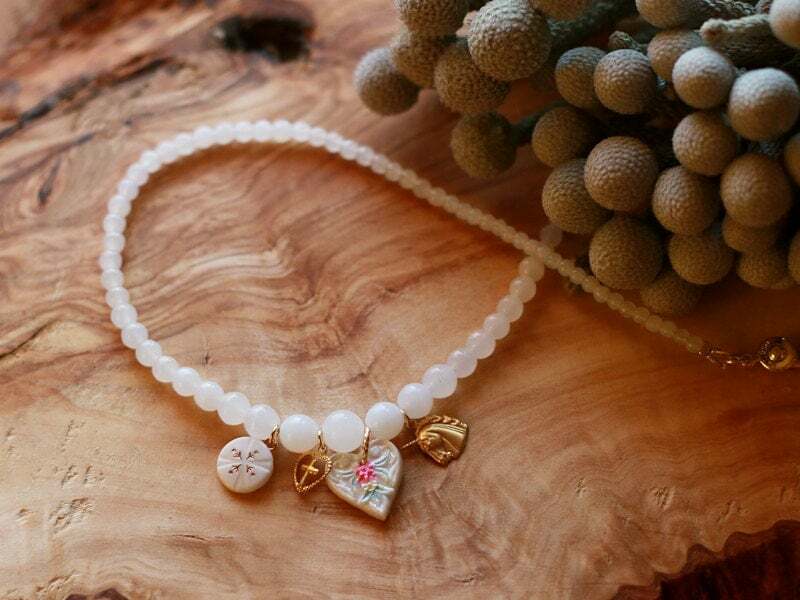 my favorite piece is vintage Czech Glass Beaded Necklace – opaque white vintage Czech glass beaded necklace with vintage brass unicorn, flower and heart cabochon. My favorite is the Multi-Colored gemstone Necklace. The Cotton Pearls Earrings with Interchangeable Swarovski Rhinestone Chains are absolutely drop dead gorgeous! I hope i win!!! Torn between a few of them but will go with the Multi gemstone necklace.. Anything with Swarovski in it is nice! I love the cotton pearl earrings with interchangeable chains and the unicorn studs! My favorite was the vintage swarovksi stud earrings!